Injuries are inevitable in sports especially in the game of football. 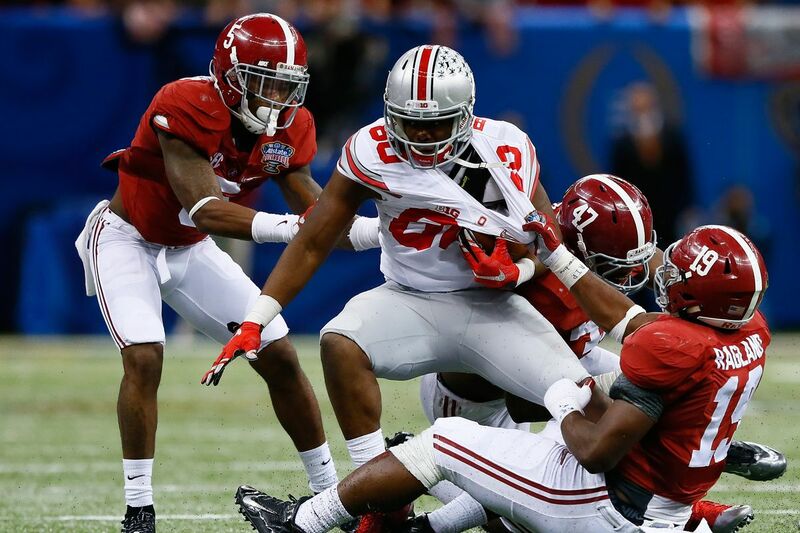 Noah Brown has recorded two massive injuries that should have kept him off the field instead he still played on! He always saw the light in the tunnel, kept at his game and has put in impressive performances on the field. Despite being a super private dude; here is all you should know about the football pro. Noah Brown was born on January 6, 1996, in Flanders New Jersey. His football career kickstarted in his days at Pope John XXIII regional School in Sparta. He was doing well at the game until he had a major hit on his ribs which led to his sitting on deck throughout the season. Throughout his junior days, he recorded 41 receptions for 630 yards in addition to six touchdowns. As a matric, he attained 41 receptions for 857 yards having received 14 touchdowns in addition to 7 rushing touchdowns. With this impressive numbers, he led his team to qualify for the non-public league Group 3 Finals, earning them an All-New Jersey Honors. Upon graduation from high school, Noah took interest in Ohio State University where he showed off his skills as a wide receiver, running back and a kick returner. He recorded over 3000 all-purpose yards and 42 touchdowns by the end of the season thus earning him offers from a lot of colleges including from Virginia Tech, Notre Dame, Penn State, Michigan State, Pittsburgh, and USC. His dreams as a wide receiver while in college all got shattered as he got a leg injury and also broke his tibia and fibula thereby leading him to be redshirted throughout the season as he needed to be operated on. Following his operation, Noah Brown recovered quickly from his injury and returned as a sophomore in 2016. He played in 13 games in which he recorded 402 yards, 7 touchdowns, and 32 receptions and was also ranked the second best in the team. In his game against Oklahoma, he attained 5 passes for 72 yards and earned a school record for having 4 touchdowns in a game. The footballer being cocksure of his playing abilities decided to forgo the remaining two years of his college career and instead enter the 2017 NFL draft. Due to his inexperience on the field, he was only asked to do three-cone drill, short shuttle, and bench press up. He became grounded at the game and was later one of the 58 collegiates who served as wide receivers during the NFL Scouting Combine in Indianapolis Indiana. Noah later played as tight end in NFL during the Ohio State’s Pro day and recorded a 40-yard dash, 20-yard dash and a 10-yard dash and was also picked in the 7th round of the NFL Draft as the 239th overall. He signed a four year deal with the Dallas Cowboys worth $2.47 million in addition to a $71,938 signing bonus. Brown started playing with the team and recorded his first career start in a 21-12 loss to the Seattle Seahawks. He finished his rookie season recording 4 receptions for 33 receiving yards in addition to one start in 13 games. You can assume that Noah Brown fell from the skies! Well, we wouldn’t doubt your assumptions nor disregard it. The Baltimore Raven, of course, lives a very private life and has kept every tiny detail about his family off the records, not even the names of his parents are known but for sure we could refer to them as Mr. and Mrs. Brown. Likewise, we would do an update as soon as we know who his family members are. Is Noah Brown Married, Who is His Wife, Girlfriend? Noah Brown is married, he got married to a lady named Rhain on June 15, 2018, according to reports by People.com. Are you imagining how you missed the gist? Well, we just decided to pull the legs of ‘Mrs brown wanna be’s’. Before you lose it, the married Noah Brown is a Tv reality Star, not a footballer. He is a namesake to the renowned American footballer. As for Noah Brown the footballer, he has done everything within his reach to keep his relationship records off the spotlight. As of now, it is assumed that he is single, however, we would do an update as soon as we place our hands on his private darling bae! You could take a wide guess on how stunning the superstar’s darling would look like? She sure would be as stunning as an angel. We will keep our fingers crossed till he is ready to talk about his better half. Having signed a contract worth $2,471,952 with the Dallas Cowboys of which $71, 952 was guaranteed in addition to a $71,952 signing bonus. NFL players are paid $400,000 to $600,000 annually and at peak, a player could be worth $50 million or more. The wide receiver earned over $195, 000 in two seasons and was ranked as the 3189th in the list of NFL players earnings in 2017, cumulatively, he earned $483,000 in 2017. At the moment, he is supposed to receive 0.3 percent share of the total cap hit for the Dallas Cowboys. 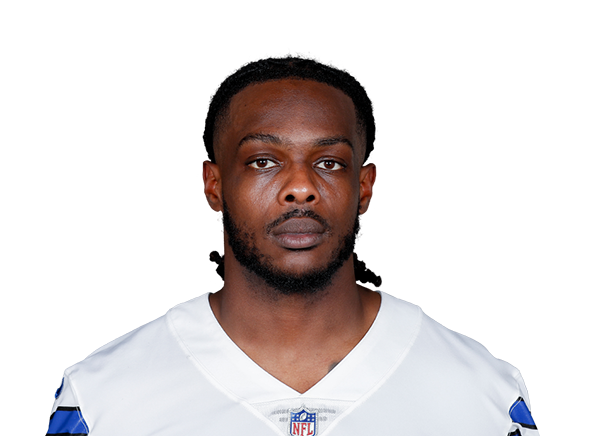 Noah Brown’s total net worth is still been reviewed.